The aim of today was to continue to relax, before heading out to the Tate Britain for a night they were hosting. However, due to the trains being delayed, we arrived a lot later than planned and didn’t manage to get in. 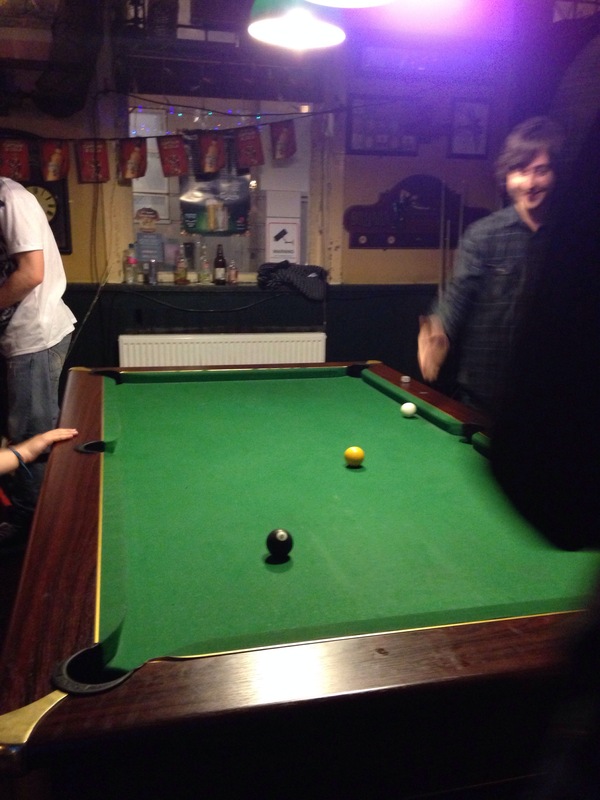 We did go to the pub though, play pool, and drink beer. Lovely! 05/12/2013 – Science and a Proposal!